Since 2013 PharmSaver.net has been saving independent pharmacies time and money through a dynamic marketplace featuring 14 top-name wholesalers. We pioneered the upload and processing of primary wholesaler Purchase Orders and supercharged price matching to deliver substantial savings to pharmacies every day. On April 26, 2018 PharmSaver will do it again by introducing a new version that makes it easier than ever to Shop Your Way. You pick the devices, data interfaces and price matching options that works best for your busy pharmacy. The new version of PharmSaver.net makes ordering a breeze. Like most pharmacies you probably have a desktop PC for pharmaceutical and supply ordering. 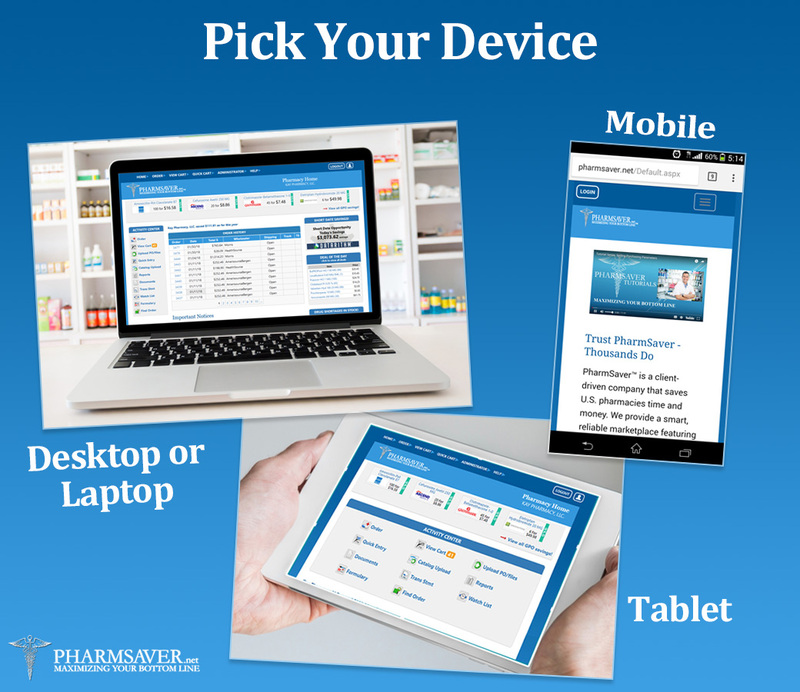 Point your favorite web browser at PharmSaver.net and enjoy the industry's top ordering and analytics service. Have a Microsoft Windows, Google Android, or Apple iPad tablet? Great! Tablets and smartphones with current mobile browsers work just fine to login and make last minute cart changes and checkout. Give your phone's web browser a try or use our mobile app for easy NDC adds and package scanning. With the new PharmSaver release you'll find it easier than ever to upload your purchase orders. If you are like many top pharmacies that choose to save time and money, you'll use the PharmSaver.net PO Upload. It's literally as easy as uploading a PDF or Excel file. Find the file – click Upload. Within seconds we've run thousands of calculations on your PO and deliver the lowest price available. Maybe your pharmacy is a little larger and you have an IT staff that understands X12 EDI. We'll work with you to do automatic uploading from your pharmacy system. The only time you need to login or even access the website is to checkout. 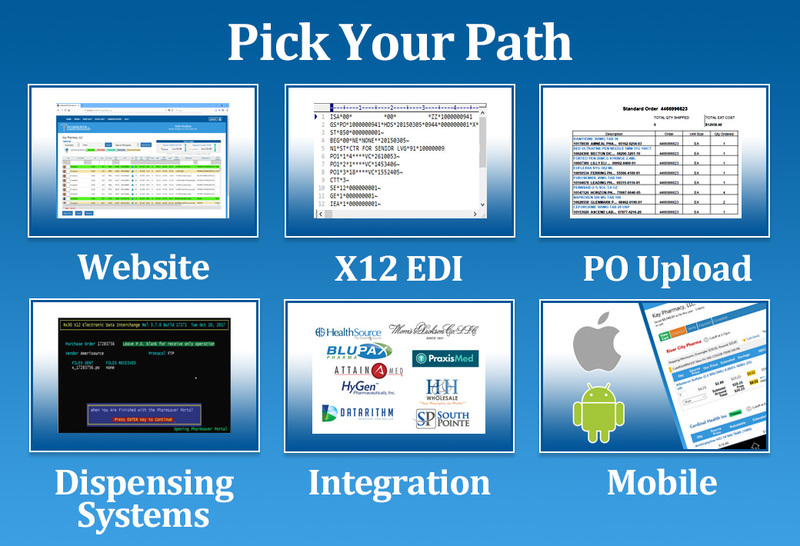 PharmSaver.net interfaces with several pharmacy dispensing systems and wholesalers. Call us at 516-374-0920 and we can discuss the details. We use your pharmacy's specific matching options with our advanced product and price matching algorithms to deliver amazing results. You tell us what type of savings you are trying to realize and we check to see if they are available. Concerned about reimbursement and negative margins? We are too. That's why you'll see reimbursement issues identified in the cart and items where we turned a potential problem into profit. 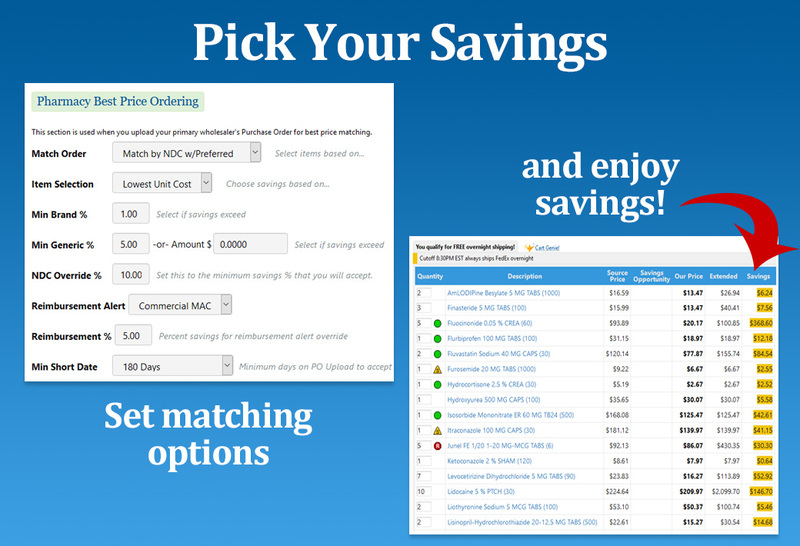 You can save even more with the new PharmSaver Group Purchasing Organization (GPO). This benefit of being a PharmSaver.net member helps deliver the best market pricing and NDC uniformity from world-class pharmaceutical manufacturers. We work directly with them to maximize your savings. Welcome to the new release of PharmSaver.net – available April 26, 2018. We make it easy to Shop Your Way.